The tangerine (citrus reticulata) is a variety of citrus fruit created from a cross between an orange and a mandarin. 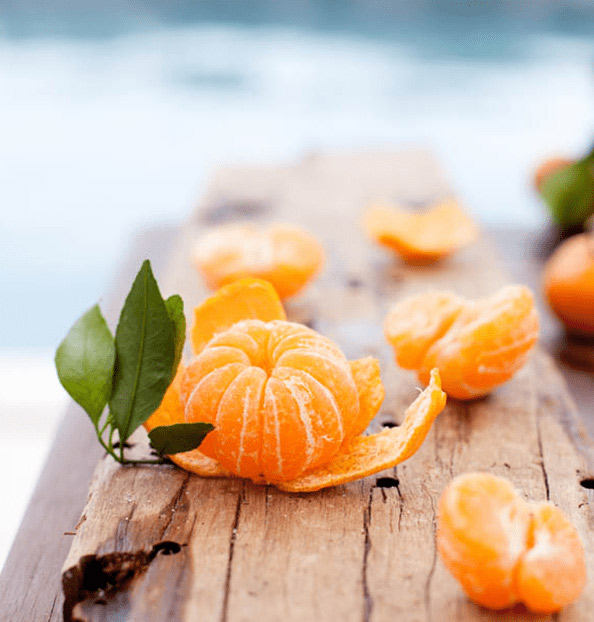 Smaller and sweeter than oranges, they are often referred to as mandarins, interchangeably, but a tangerine is not a mandarin as an orange is not a tangelo. Here are some citrus family facts to help you understand this juicy little fruit better. Mandarins, the citrus predecessor to the tangerine, are widely accepted as one of the oldest ancestors of the citrus fruit family, along with pomelos and citrons. These ancient citrus fruits are known to have originated in South and East Asia before starting their journey west. Citrus are very flexible cross pollinators, and it wasn’t long before they started becoming the numerous varieties that we know now. For a bit of perspective on the numerous varieties of citrus that we have now: did you know that within the single scope of what we call ‘oranges’ for example, there are sweet oranges, mandarin oranges and sour oranges, which also can be broken down into hundreds of different varieties? The name ‘tangerine’ derives from the word ‘Tangier’, a seaport in Morocco, coined by the Americans to indicate this fruit that came to the West through this port.